Nestled along a back street in a town one hour northwest of Tokyo by train, is a dojo unique in modern Japan. It is called the Hakkoryu So Hombu Dojo (General Headquarters School of the Eighth Light Tradition), and was founded by Shodai Soke (First Generation Head) Okuyama Ryuho. This dojo provides for training in the arts of Hakkoryu Jujutsu (a Japanese system of self-protection) and Hakkoryu Koho Shiatsu (traditional medical therapy using finger pressure). 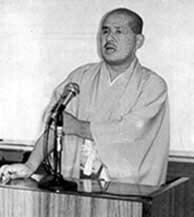 Following Shodai Soke’s retirement in 1986, his son, Okuyama Toshio assumed the responsibilities of the school. At that time, Waka Sensei, as Okuyama Toshio was then known, took his father’s pen name “Ryuho”, and with it, the title Nidai Soke (Second Generation Head). Nidai Soke Okuyama Ryuho now directs and has total authority over all Japanese dojo as well as branch organizations in several countries. Shodai Soke passed away in November of 1987. Finally, on June 1, 1941 he held the “Hakkoryu Kaiso Hokokusai” (Ceremony Proclaiming to the Kami (Gods) the Founding of Hakkoryu). Hakkoryu was born on this date. Moving to the Kanda district of Tokyo, he established the Hakkoryu Kobujuku (Private School for the Classical Military Art of Hakkoryu) where he operated a popular training hall while also providing direct instruction to the police and military. When the Allied bombings of Tokyo became too severe, he and his followers fled the city and joined the Mount Haguro sect of Shugendo (a mixture of esoteric Buddhism and Shintoism) in Yamagata Prefecture. 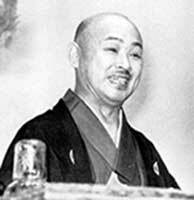 There he was to stay, study, and teach until around 1947, at which time he moved to Omiya City (now known as Saitama City), Saitama Prefecture and established the Hakkoryu So Hombu Dojo, sometimes referred to as the Hakkoryu Juku Hombu Dojo. The dojo has been in this location ever since. The name “Hakkoryu” is based on a philosophical Japanese view of the color spectrum as being divided into nine bands of light. The eighth shade is infrared, which is invisible to the naked eye but extremely powerful, both characteristics apparent in Hakkoryu’s techniques. The number eight in Japan also has associated with it numerous philosophical and religious meanings that are beyond the scope of this brief introduction. Little known and often misunderstood outside Japan, Hakkoryu is a Jujutsu system which uses the body’s Keiraku (meridian system) to create varying amounts of pain to control an attacker without necessarily causing serious injury. Japanese and traditional Oriental medicine teaches that “Ki”, one of the non-physical aspects of life, flows through Keiraku in the body. Certain Tsubo (special points) along the Keiraku are sensitive to touching or striking and cause sharp distracting pain, but do not necessarily damage bones, joints, or other body tissue. These are the focal points of Hakkoryu techniques that a trained exponent uses to distract, dispatch, or arrest an attacker. Because of the non-injurious potential of these techniques, Hakkoryu is said to be humanitarian in nature. The primary means of instruction in Hakkoryu is through Kata (choreographed combat sequences) in which the principles of Shodai Soke’s system are introduced. A thorough grounding in Omote (surface techniques) is required of all ryu disciples. There are four basic Kata: Shodan (first degree), Nidan (second degree), Sandan (third degree), and Yondan (fourth degree), which also correspond with the black belt level a disciple holds. There are no higher Dan ranks regularly awarded in Hakkoryu, other than a Godan (fifth degree) which may be awarded in special cases, or higher degrees at the discretion of the Soke only. Each Kata contains numerous Kihon Waza (basic techniques) which must be mastered and thoroughly understood. These Kata embody the wisdom and experience of Shodai Soke and are to be handed down as they are, without change to the core principles, to successive generations. Mastering the Omote is not to be rushed, for inevitably the resulting damage will make itself evident. The essence of Hakkoryu techniques will remain elusive to those who have not undergone prolonged study of the basics under a certified Shihan. Contained within the Kihon Waza are Gensoku (principles) which are the actual lessons of the techniques. The introduction of Gensoku through Kihon Waza follows a rational order where subsequent principles build onto previous ones, developing into a cohesive whole. Once a disciple learns these Gensoku, he/she is able to develop their own principle-based actions using combinations or unique applications of Gensoku for a potentially infinite number of circumstances. This allows the disciple to create techniques and applications suited to one’s own needs and circumstances, rather than blindly memorizing the techniques taught by instructors. With Hakkoryu, one achieves the ability to create rather than merely imitate. Most Hakkoryu classes are taught one-on-one, Shihan to Deshi. The old concept that it is preferable to train a few hand-selected students well rather than many anonymous students not so well continues. This traditional master-to-disciple relationship allows the Shihan to make immediate comment or correction on a disciple’s technique. In this manner, a disciple can learn rapidly and can better come to understand the many subtleties of Hakkoryu techniques and approaches. It not only guarantees a high quality of excellence in its exponents, but this method also limits the number of disciples a Shihan can capably and comfortably teach. In Hakkoryu, it’s the quality of disciples not the quantity that matters. Because a ryu’s reputation depends on the character and abilities of its exponents, Nidai Soke clearly realizes that any compromise of this method could lead to the ryu’s decline. There is little flexibility on this point. Constant throughout Hakkoryu training is the concept of abandoning force. Muscular strength is not required in Hakkoryu. Instead, the techniques rely mainly on an understanding of anatomy and physiology, both the exponent’s and his/her attacker. Disciples are encouraged always to relax both mind and body so that one’s Tanden or Hara (center of gravity) settles in the proper place. Thus, body weight may be easily focused at various points during the execution of techniques. Should a disciple try to use strength alone, his/her body weight will not be focused properly, and techniques will be much less effective. Once a disciple can grasp and unconsciously practice this concept, progress becomes rapid. Another reason one should relax is that Hakkoryu training sessions are painful, sometimes extremely so. Relaxing one’s mind and body diminishes such pain and prevents injury. For advanced training, Hakkoryu continues to use the Menkyo (Licensing) system, long a part of traditional Japanese bujutsu koryu. Upon mastering the Shodan through Yondan Kata, it is possible that one might be recommended by one’s Shihan and subsequently invited by Nidai Soke to undergo advanced training as a Jiki Deshi (Direct Disciple). Nidai Soke is the only individual authorized to provide such advanced training and to bestow Menkyo licenses. Should one receive such a written invitation from Nidai Soke, one must travel to Hombu Dojo in Saitama City for training over extended periods of time. On occasion Nidai Soke will travel abroad and conduct Shihan Jikiden at branch dojos. These invitations are difficult to obtain and letters of recommendation must be sent to Nidai Soke from Hakkoryu Shihan in good standing in order to even be considered. Qualification for such training goes considerably beyond technical ability, which is assumed, to include a strong appreciation for Japanese culture, manners, and traditions. One’s attitude, approach, contributions, and appreciation for subtleties are all reviewed. Especially with non-Japanese disciples, at whatever level they may have attained in Hakkoryu, it is best and appropriate to always consider oneself as simply a guest of Hakkoryu. The seeking of personal power, fame, and fortune is counter to the spirit of Hakkoryu. The original set of advanced instruction is for the title of Shihan (Master Instructor), and as with all advanced training in Hakkoryu, is taught personally by Nidai Soke. During this time, Hombu Dojo is closed during the day to all visitors except those ranked Shihan or above who are directly assisting Nidai Soke in his teaching. 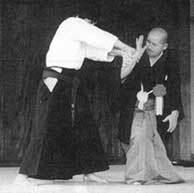 It is during these training sessions that the Higi (Hidden Points) and Okuden (Secret Techniques) are imparted to the Jiki Deshi directly by the Soke giving depth, finesse, and personality to an exponent’s techniques. This process is termed “Jikiden” (Direct Transmission). Training from Shodan through Yondan on a step-by-step basis may be compared to the forging and tempering process that gives body and strength to a Japanese sword blade. The Higi and Okuden of advanced training impart the sharpening and polishing processes that endows a blade with the razor edge and mystical elegance of this most prized weapon. Should a disciple complete the Shihan Jikiden and pass an examination given before a gathering of Hakkoryu Shihan, he/she is given the Makimono/Densho (hand scroll) for Shihan, the Hakkoryu Hombu certificate of Shihan training, the Menkyo (teaching license), and is awarded a Hakkoryu Hombu purple belt, the Imperial color of Japan. Beyond Shihan Jikiden, should one be invited by Nidai Soke, are the even more advanced teachings of Kaiden Shihan (Master Instructor of the Deepest Mysteries) and Kaiden Shihan Sandaikichu (Master Instructor of the Deepest Mysteries and the Three Great Foundation Pillars). Training in these arts requires sustained or repeated residences at Hombu Dojo, and again, is taught privately by Nidai Soke. 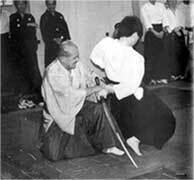 Also, should a Shihan or above wish to have a review of any Menkyo level provided by the Soke, this is available. Upon completion of such review, one is given a Renshi (Polished Master) designation, which must be renewed yearly to remain active. Along with Hakkoryu, Shodai Soke maintained and Nidai Soke continues with an original and distinct school of traditional medical therapy called Koho Shiatsu (Imperial Method of Finger Pressure Therapy). 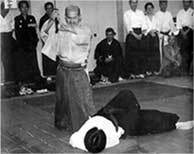 Using the same Keiraku utilized in Hakkoryu to control an attacker, Koho Shiatsu defends against attacks of disease and sickness from within and outside the body. Varying degrees, directions, and kinds of pressure on Keiraku applied by a trained therapist can assist in balancing irregular and incorrect accumulations or deficiencies of Ki in a patient, allowing the patient to heal himself. All Hakkoryu Shihan undergo some training in Koho Shiatsu, as this is also an important aspect of understanding the results of the art’s other, more strictly martial, applications. Nidai Soke conducts extensive clinical training for practitioners, upon satisfactory completion of which he may award certification. Unlike most systems of self-protection, Hakkoryu does not engage in any sports-like activity whatsoever. Sports pit one adversary against another under defined rules to determine who scores the most points, and then gives the victor an award. The purpose of Hakkoryu is not to determine the relative merits between individuals, but rather to improve one’s knowledge, ability, and understanding of self and public protection consistent with physical and mental health. Sports have no place in Hakkoryu. Hakkoryu Jujutsu and Hakkoryu Koho Shiatsu are Okuyama family martial and medical systems. 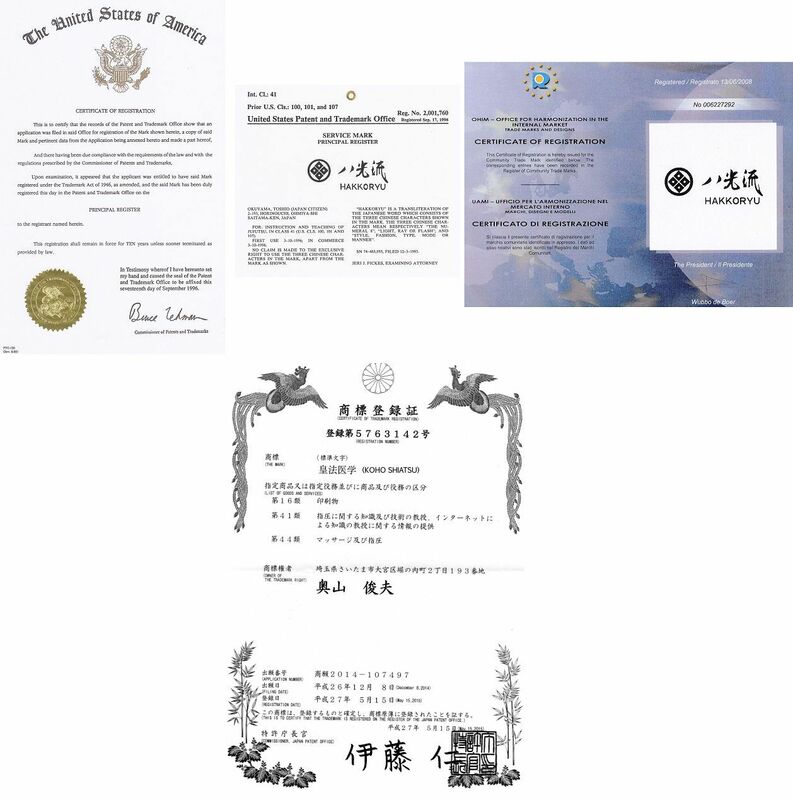 Total authority over Hakkoryu and all legal and administrative rights to Hakkoryu and Koho Shiatsu are held exclusively by Nidai Soke Okuyama Ryuho. He is advised by selected Senior Shihan and Councils. His decisions are final. 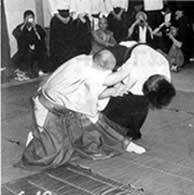 This autocratic management style is typical of traditional bujutsu ryu not unlike pre-Meiji koryu. 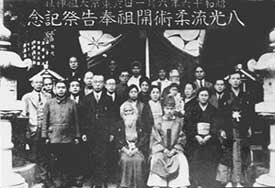 Outside of Japan there are various individuals and organizations that claim to teach or have affiliation with Hakkoryu. Some may use the word “Hakko” (八光) in the names of their systems, implying a connection or relationship to Hakkoryu So Hombu Dojo when none exists. Interested parties are hereby advised that most have no relationship at all to Hakkoryu. Many desire the legitimacy of such affiliation without the accompanying training, efforts, sacrifice, responsibilities, limitations, and burdens actual membership requires. This is true of those who have never had any training or affiliation at all with Hakkoryu as well as those who have been expelled or claim they have “retired” from Hakkoryu, but attempt to teach the Hakkoryu syllabus. Interested parties and prospective students are warned to be very careful to avoid all such individuals. Please be clear: outside of publications printed and distributed by the Hakkoryu So Hombu Dojo (such as this website, books and manuals written by Shodai and Nidai Soke, and certain magazine articles), few books, manuals, videos, or other publications have been approved and sanctioned by the Hakkoryu Soke. For decades, Nidai Soke and the senior ryu Shihan have worked diligently to increase technical, personal, and behavioral standards for those in Hakkoryu and cleanse the ryu of undesirables. This has resulted in suspensions (“Jomei” 除名) and expulsions (“Hamon” 破門) and “retirements” of teachers, both within Japan and abroad. The primary function of the Hakkoryu So Hombu Dojo in Saitama City is the training and review of Shihan. As such, it does not welcome visitors without arrangements and letters of introduction from Shihan in good standing being provided well in advance of such visits. Others will not be allowed to view training. Direct inquiries to Hombu Dojo will not be answered. Parties interested in true Hakkoryu Jujutsu and Koho Shiatsu instruction outside of Japan as authorized by Nidai Soke Okuyama and Hakkoryu So-Hombu Dojo may reference the Hakkoryu Instructor List. Also, you may contact the Hakkoryu Representatives outside Japan here.